Princeton University is accessible by car, bus, and rail. 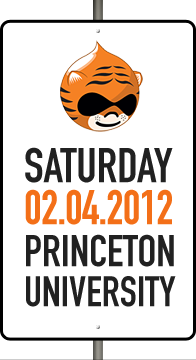 See the Visiting Campus Overview page of the Princeton University website. There you will find maps and more information about getting to campus and getting around campus. The Friend Center is located on the corner of William and Olden Streets. It is about a 10-15 minute walk from the Princeton train station (aka the "Dinky"). If you are traveling by car, parking is available in Lots 10, 13, and the North Garage. On street parking is also available. Please be advised that there are numerous events taking place on campus and that the parking lots may fill quickly.